Events from CarpathianMan ® Series are outdoor competitions with strong mountain character. The routes are unimproved and unprotected, using public and forestry roads, marked and unmarked trails, steep and rough areas, etc..
- Any participant should have at least a general experience on the mountain. 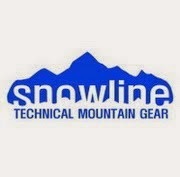 - Any participant should have the ability to travel safely on a route in an alpine area. - Any participant should be experienced enough pass over a difficult alpine route (a passage of fixed ropes). 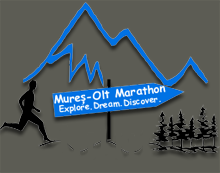 - Any participant should have a good sense of direction in mountainous terrain, even in bad weather and poor visibility. This means that each participant be able to use a map and information about routes to reach in a safe place. 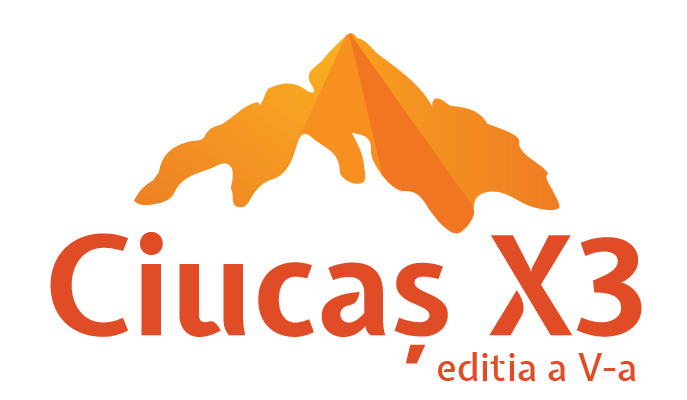 - Any participant should know the rules of behavior in case of danger and emergency in the mountain area. - Any participant should show fair play and friendship and should act accordingly if the situation requires. - Any participant should know and have an attitude that takes into account that as many safeguards would take the organizers, are not and will not be covered all risks arising from the nature of competition, environment and conditions under which take place. - Any participant should know and take into account the fact that: no prize is above its or other participants’ health and life and to act preventively when it feels or observes a hazard. 2.1. It is a CarpathianMan ® event. 2.2. 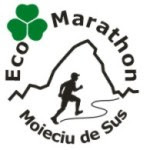 Individual, mountain running race. 3.1. Length 41 km, level difference +2150 m /-2150m (Zarnesti Center, Magura, Folea House, La Table, Funduri saddle, ref. Spirlea, Plaiul Foii, ref. Diana, Coltul Chiliei, Zarnesti Center). 3.2. Published route may be modified for various reasons, including weather conditions, security, traffic restrictions, e.g. 4.2. The Special category is open for mountain rescue and mountain police members, firefighters and policemen. They will enter on the age rankings too. 4.3. Categories where there will be less than 5 participants can be mixed with another category at organizer choice. 5.1. Compulsory: bottle 0,5 l + 0,5 l minimum liquid at start, food (at least two bars or gels at start), backpack or hip bag, long sleeve trouser, a long sleeve shirt, a rain jacket, hat or cap, map and number (last two will be given by the organizer). 5.2. Recommended: poles, telephone, whistle, gloves and survival blanket. 5.3. Equipment will be checked at the entrance in the start area and after the finish, it can be checked on the route to. Lack of each item of equipment will be penalized by 10 min. Keep in your mind that is a mountain race and the weather can change very quickly!!! 6.1. Race number will be received the day before competition, after the participant has completed and signed the registration form, statement of responsibility and has paid the race fee. 6.2. Race number should be worn and must be visible throughout the race. Logos placed on the number must be visible. 6.3. The number should not be cut or damaged in any way. Failure to do so will entail disqualification. 6.4. Your race number is your accreditation; it shall give each holder certain rights, including attending the Pasta Party to be held after the race. 7.1. Validation of registration will take place the day before competition from 17:00 - 20.00 and Saturday morning from 07.00 AM to 08.00 AM. 7.2. Technical meeting will take place the evening before the race, starting at 20.00. A short briefing, updated with the last adjustments and news, will take place before the start. Timing unit is the second. 9.2. Start area opens 30 minutes before and closes 5 minutes before the official start . - Sector B - all other competitors who have registered. 9.4. Entrance into the start area is only permitted through access gates. 9.5. Entering the start area will check the equipment and each competitor will be signed on the start list. Those who will not appear signed on the list will be considered absent from the start and will not be ranked. 9.6. Once entered, the competitor must remain in the start area. 9.7. The start will be open for 15 minutes after official start time. Those who lost the race start and will go into these 15 minutes must notify officials at start area. The timing will be according to the official start time. Participants that start the race later than 15 minutes will not be ranked. A possible neutralized start would be announced at the briefing. During a neutralized start the competitors must follow the vehicle driver. Compulsory checkpoints are located on the route. Any participant who does not pass through a checkpoint (for whatever reason) will be disqualified. Race number can be noted in order of arrival at each checkpoint. 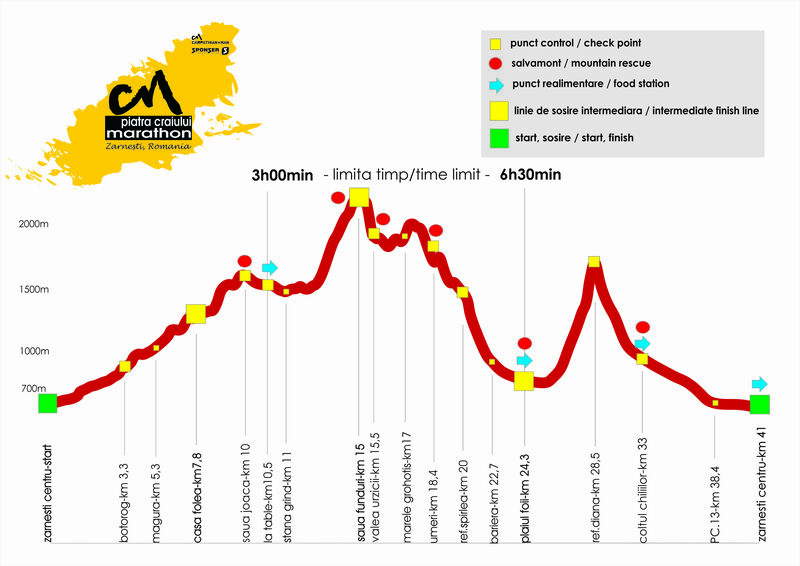 There are fixed two time limits: CP 4 La Table (3h30 from the start) and CP 9 Plaiu Foii (6h30 from the start). Time limits will be announced at the technical meeting too. From some reasons (weather or trail condition) the organizer can change the time limits. Any change of the time limit will be announced before the start. Participants must pass through the points before the time limit, or for their own security will be stopped from the race and advised to withdraw to safer areas. The route may include difficult areas, where the clock can be turned off (dead time). Organizers can stop the clock and / or may require slowing and / or completing these areas with special attention and walking. Organizers can set bookmarks to warn these areas and / or use safety features (fixed ropes, e.g.). 14.1. There are fixed three intermediate finish lines: CP 2 Folea House, CP 5-Funduri saddle, CP 9-Plaiul Foii and a final finish line in Zarnesti Center. 14.2. 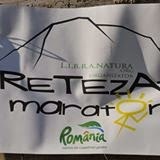 Participants have the opportunity to complete the race in any of the four points of the route, but will be ranked in the following order: Zarnesti Center, Plaiul Foii, Funduri saddle, Folea House. - Was injured after start and his condition no longer allowed continuing the race. 15.2. Any participant who cannot or does not want to continue the race for any reason shall immediately inform the organizer at one of the following places: start/finish, checkpoints or by calling the emergency number written on the race number. The emergency number will be notified at the technical meeting. 15.3. Participants that do not inform their withdrawal from the race will be considered missing and will cause a search and rescue operation (mountain rescue teams, helicopter) at the expense of participants involved. 15.4. The withdrawal shall be confirmed by signature. 15.5. Any participant who withdrawal from the race will be helped to chose the best option to go safely back, but is responsible for his own transport, route will use and the actions will follow the withdrawal. This will not apply for serious cases which do not allow movement through their own power. 16.1. Rankings will be made for all categories. First three finishers in each category will be awarded. 16.2. All those who will complete the tour of Piatra Craiului will enter in possession of MPC medal. 16.3. Everyone who finished the race will receive diplomas. Special prizes for the oldest participants. Carpathian Man ® events are held in some of the most beautiful mountain regions of Romania. Leaving waist, packages, equipment on the routes and/or deliberate environmental destruction will be disqualified. 18.1. Supporters can encourage any competitor; they should respect traffic rules, authorities or officials instructions and not impede competition. 18.2. On the route is not allowed any help coming from outside (supporter, spectator, e.g. ), except arranged refreshment points, where competitors besides drinks, fruits and energy food provided by the organizers can receive other foods, liquid, e.g. Other exceptions are special cases. 18.3. The organizer can carry personal luggage at CP 9 Plaiul Foii, except poles which should be carried all the way. 18.4. Assistance with liquids, food, accessories between registered competitors is allowed. 18.5. Any support offered from moving vehicles is prohibited. 19.1. 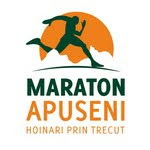 Marathon Piatra Craiului uses like race route the following and not only: public and forestry roads; arranged and unprepared trails; passing the villages, pastures, forests, forest cuts, alpine meadows, debris, steep valleys, ridges. 19.2. The race route is not closed to other users (cars, vehicles, pedestrians, tourists, animals and others). This draws on the participants, the obligation to respect the traffic rules imposed by laws. 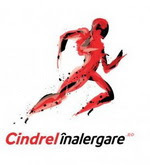 Any accident caused and/or who involve participants in the Marathon Piatra Craiului, it occurred during the race from violation of the traffic rules imposed by laws shall be the responsibility of those involved in the accident. 19.3. Each competitor is obliged to follow the official route, follow the official’s indications, not to use shortcuts or other similar benefits. 19.4. Any competitor has to prove fair play: allow to a faster competitor to overtake him without obstruct, to assist a competitor in difficulty and who request it. 19.5. The route is unimproved and unprotected, so there is a risk of injury and/or death from common hazards for outdoor competitions. These include and are not limited to: collisions with motor vehicle, other vehicles, stones, rocks, trees, people and other objects; falls; landslides; cold and/or heat injuries; hypothermia; heatstroke; dehydration; frostbite; burns; altitude sickness; falling stones; hail; snow, rocks or soil avalanches; floods; storms; lightning; animals; reptiles; insects; fire; drowning; physical exertion. Race fee will not reimburse for disqualification. 21.1. Any participant may make a complaint against another participant who failed to comply with race rules or against the decisions of officials. 21.2. Written appeal together with a fee of 200 lei will be submitted to the race office within 15 minutes after posting provisional final results. Complain will be solved in the next 30 minutes. 21.3. The fee will be returned to the applicant if the appeal will be accepted. By registration, payment and participation each participant confirms having read, understood and accepted the terms of participation, these rules, assume the risks of participation in Marathon Piatra Craiului 2013 and are responsible for their actions who should take into account the relevant circumstances as: changing weather, traffic, weather and snow conditions, location and equipment.